Isn’t it time you started to supplement smart? Do you ever read the “other ingredients” below the supplement facts? Aren’t you tired of all of the chemicals, fillers and dyes that are in your supplements? 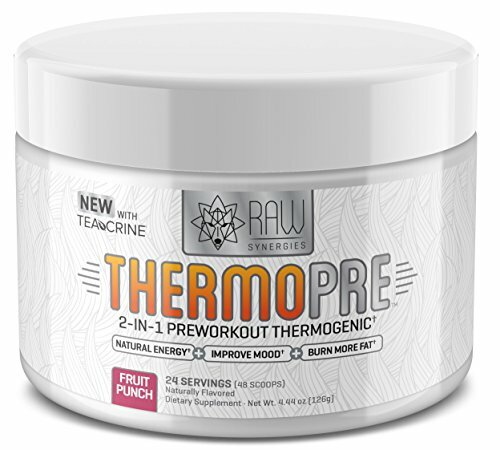 Thermo Pre is the world’s first all natural 2-In-1 Thermogenic Pre Workout. Effective meets safe and pure meets potent. With 100% potent ingredients and absolutely no unwanted additives, this is a supplement that actually works for your body to help fuel the results you want. With a 100% non-proprietary label, transparent (full disclosure) supplement facts, trademarked ingredients, and 100% pure natural (stevia sweetened) flavor, Thermo Pre simply sets the bar higher. Pure Results, Why would you want anything else?